I feel very fortunate that I have the wherewithal, time and health that allows me a good deal of travel. I was just reviewing my travels for the past year and realized that aside from annual trips to our timeshare in Palms Desert and to our Cinco de Mayo golf tournament in Las Vegas, last year, I was able to go crazy in Nashville, visit the crazies in Washington D.C., with a side trip to Gettysburg, feel crazy on wine trips to Paso Robles and Napa/Sonoma, play golf (or a vague facsimile there of) in beautiful Banff, Canada, although it wasn’t so beautiful due to the smoke that filled the sky from multiple forest fire throughout British Columbia and Alberta. We also took a trip in time as we traveled back to the ‘50s on our trip to Minnesota for Linda’s 50th high school class reunion, with the Mabel-Hesper Steam Engine Days parade thrown in as a bonus. On our trip to Laughlin, Nevada, my brother, Jack and I saw the creation, and the subsequent filing for bankruptcy of, ‘The Sparrow Brothers School of Fine Football Forecasting’. The year’s traveling ended with a visit to Seattle to attend our good friends, the Johnson’s son’s wedding. I should also include our trip to the famous restaurant, Dan Tana’s as any trip to L.A. is always an adventure. And you got to come along on all those adventures, but I can already hear you asking, “What have you done for me lately – where are we going this year?” Well, I think you’ll like the itinerary we have planned for you as I start the year off with a trip to a familiar haunt, Lake Tahoe. We’ll be attending another friend’s son’s wedding at the Inn at Squaw Creek in Squaw Valley . . . in January . . . outside! Hope I can type with mittens on. While there, we’ll take some time to visit Mom & Dad’s final resting place overlooking ‘The Lake’. In the spring I’ll be heading out to one of my favorite locations, Death Valley with some hiking buddies – hope we keep the death out of Death Valley. At the beginning of summer we have an Adriatic cruise planned that will afford us visits to Italy, Greece, Croatia and some other places missing some vowels that I can’t pronounce much less spell. In September we’re back in Italy, staying in Tuscany and taking day trips to the surrounding environs before heading to Cinque a Terre – those picturesque fishing villages hanging off Italy’s Mediterranean coast, which have been on my bucket list for some time – I hope I remember to come home. I lay this itinerary out so that if anyone who’s been to any of the aforementioned destinations has some travel tips – I’m all ears. I’m not sure where Suzanne’s travel will take her this year, but you can count on us to fill your every Monday morning with some travel highlights, some life observations, some tributes as well as some stuff you can just delete as spam. Thank you for your readership and we hope your 2019 is adventurous . . . in a good way. The two-and-and-a-half hour flight from LAX to Calgary, Alberta was uneventful, no crashes, no hijackings, but there was a bit of disappointment once we landed; the usually beautiful Canadian Rockies were covered in smoke from fires west of us in British Columbia. So it seemed that the Great Smokey Mountains had moved from North Carolina/Tennessee to Alberta/British Columbia. The typically picturesque drive from Calgary to Canmore, our home for the next week, was filled with Linda and me saying things like, “See that hazy outline of a mountain over there, usually that’s spectacularly beautiful” while the rest of the party squinted and smiled in faux amusement. The next morning we leave our comfortable accommodations at Blackstone Mountain Lodge and travel less than a mile to our first golf destination, Silvertip Golf Course. It is a course carved out of the forest and mountains with lots of elevation and incredible views on every picturesque hole . . . usually. You would have thought that the smoke, dark clouds and rain would not only dampen the course, but also our spirits – not so much. The light rain had stopped and had cleared some of the smoke away. We enjoyed the course so much that we decided to play another round there on what was going to be a golf-free day later in the week. 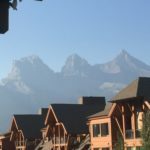 I have included a photo of the famous triple mountain peak formation, The Three Sisters, I took during the round and juxtaposed it to a photo probably taken by the Canmore Chamber of Commerce. Golf the next day was at Kananaskis, a 36-hole layout that was completely washed out in a flood in 2013 and only fully restored and reopened at the beginning of this month. Kananaskis is in a valley with great edifices of granite peaks surrounding it – it’s like playing golf in the middle of Yosemite Valley, without the waterfalls – although I managed to find some water. Tourist day today, with breakfast in quaint downtown Banff, then on the see Lake Louise. We were fortunate that we arrived at the lake when we did as we took some pictures, went in to have a drink and by the time we came back out you couldn’t see to the other end of the lake due to clouds and smoke. The next day’s golf was at Stuart’s Creek, the course was in great shape, but the normally beautiful vistas from each hole were non-existent due to a layer of heavy smoke. There are currently about 15 forest fires blazing in Alberta, but next door in British Columbia where the winds are coming from there are a total of 559 on-going fires – most caused by lightning. The golf was a little hazy too. 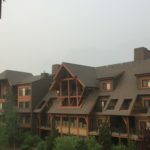 Our penultimate day in the usually picturesque Rockies was the worst in terms of air quality. You know those outlines of mountains we could see on the way in? They’re gone, nothing but smoke-filled skies. We’re told we shouldn’t even be outside, but we’ve committed to play Silvertip again and since we all live in Southern California, our lungs are used to bad air quality. Final day of golf at Banff Springs Golf Course and a walk through the hotel – nice, but without the views of the mountains and the Bow River due to the smoke, it’s not quite the same. The companionship was superb as usual and the courses were in great shape, but it was a shame that we could not fully enjoy the views of one of the most beautiful places on the planet. Not smoke, dark clouds, rain or bad golf could keep me from making a fool of myself. 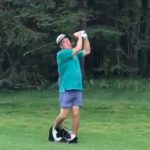 Here I am following the sacred tradition of playing with my pants down having not reached the lady’s tee with my drive. 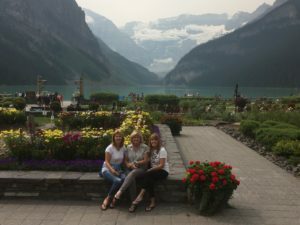 I’m writing this before we headed off on Saturday for a week in Banff, Alberta, Canada, so unless you read about a plane being high jacked or crashed in the Canadian Rockies, we’re there now and probably enjoying ourselves. The ‘we’ is again our traveling companions, Jack & JJ Budd and John & Judy VanBoxmeer. John is a Canadian by birth, but now a U.S. citizen; it’s always nice to have someone along who understands the language. 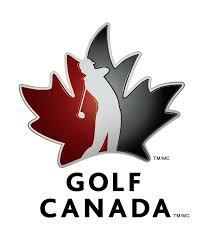 This will be Linda’s and my third visit to this area, all prepared by a company called Golf Canada’s West. 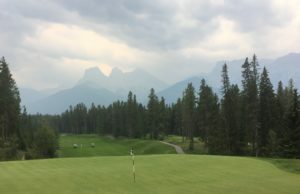 If you’ve ever been to the Banff area, you will understand what I am about to say: this it is possibly the most picturesque place to play golf in the world. 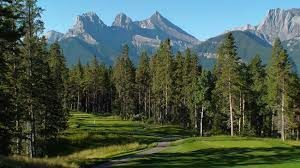 The courses we will be playing are either in, or surrounded by, the Canadian Rockies and are nothing short of breathtaking. Banff itself is a cute little town located in Banff National Park along the Trans-Canadian Highway, surrounded by magnificent mountains, populated by elk and grizzly bear. 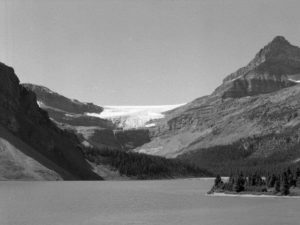 It got its name in 1884 from George Stephen, president, at the time, of the Canadian Pacific Railway, whose birthplace was Banff, Scotland. Early on in our first visit to Banff in 2004, I stumbled across an Irish pub, as I am apt to do in every corner of the earth I travel, St. James Gate; we’ll probably pop in for a pint or two. Just up the road from the town of Banff you’ll find the strikingly beautiful Fairmont Banff Springs Hotel. It was built in 1888 as one of Canada’s grand railroad hotels and has since been updated from the original wooden structure to a magnificent building of cement and stone, standing tall in the surrounding forest. Adjacent to which is a beautiful golf course which we will have an opportunity to play during our visit. 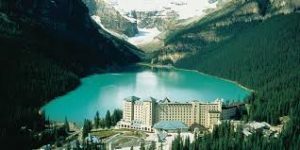 We will take a day off golf and visit the equally beautiful Fairmont Lake Louise Hotel, which is about a 40 minute drive northwest of Banff. 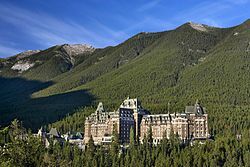 Chateau Lake Louise, as it’s now called, was also built around the turn of the 20th century by the Canadian Pacific Railway and is also part of the Fairmont chain. 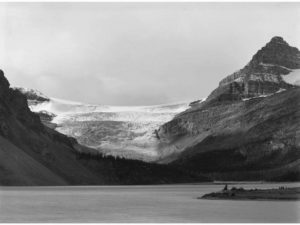 It sits on one end of Lake Louise and at the other end is a massive glacier. Well it used to be massive. On a quiet night, during our first trip here we stood by the lakeside next to the hotel and could hear the cracking of the ice in the glacier echo across the lake. Our subsequent trips have seen the glacier size decrease. We weren’t there in 1902, but take a look at the photos taken in that year compared to the photo taken in 2012. Sad to see. Well, I’ve got to get packing, although that brings in a whole other set of obstacles. We’ve watched the weather there for the last two weeks and it’s gone from raining every day to sunny and highs in the 90s and lows in the 40s. It’s the mountains, so we can probably expect a little bit of everything. And if it’s too bad, we do have St. James Gate as a backup to any of our plans. Eh!